Situated in Pag, Apartments Andreja presents self-catering accommodation with gratis wireless internet access. 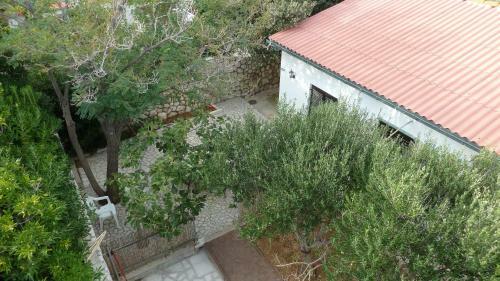 The property is 10 metres from the Adriatic Sea and 2 km from the centre of Pag. 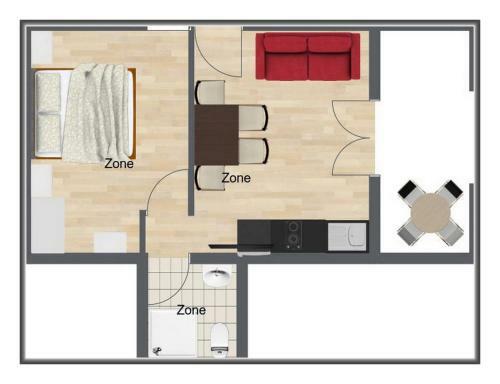 In the apartments visitors will find a flat-screen satellite television and a seating area with a sofa. Activites like swimming and scuba diving can be enjoyed in the proximity. Pag apartment 2 ~0.1 km, Pag Pag Apartment 2 presents accommodation in Pag, 40 km from Zadar. 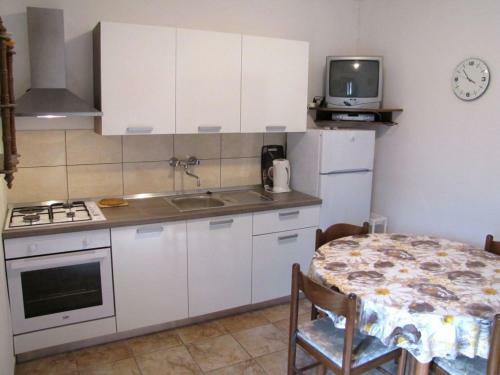 Pag Apartment 2 presents views of the sea and is 17 km from Novalja. The kitchen is equipped with a dishwashing machine, an oven and a microwave and there is a private toilet. A TV with satellite channels is provided. There is a shared bathroom with a bath, bath or shower and bidet, and free toiletries and a hair dryer are featured. Mali Lošinj is 46 km from Pag Apartment 2, while Lopar is 49 kilometers away. 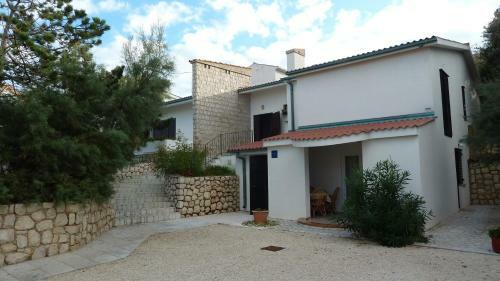 Pag apartment 3 ~0.1 km, Pag Pag Apartment 3 presents pet-friendly accommodation in Pag, 40 km from Zadar. The property presents views of the sea is 17 km from Novalja. There is a dining area and a kitchen complete with a dishwashing machine and an oven. A TV with satellite channels is available. There is a private toilet with a bath, bath or shower and bidet. Mali Lošinj is 46 km from Pag Apartment 3, while Lopar is 49 km from the property. Simuni ( ~ 6.4 km ): 5+ apartments. Metajna ( ~ 7.3 km ): 204+ accommodation units. Kolan ( ~ 7.9 km ): 2+ apartments,. Mandre ( ~ 9.5 km ): 187+ apartments. Zubovici ( ~ 9.5 km ): 76+ accommodation units. Kustici ( ~ 10.9 km ): 163+ apartments. Beach Madarica, Pag ~ 0,8 km from Apartments Andreja Concrete beach: recommended for young people, with restaurant, with caffe bar, equipped with showers. Excellent choice of watersports. Beach Prosika ~ 1,1 km from Apartments Andreja Sandy beach: ideal for families, recommended for young people, with restaurant, with caffe bar, equipped with showers. Excellent choice of watersports. Beach Kozlinjak ~ 2,2 km from Apartments Andreja Gravel beach: ideal for families. Beach Bosana ~ 2,9 km from Apartments Andreja Gravel beach: ideal for families. Beach Beritnica ~ 5,6 km from Apartments Andreja Gravel beach: ideal for families, recommended for young people. Restaurant Viktorija, Pag ~ 2,1 km from Apartments Andreja Address: Put divicnjaka 1, Pag. Cuisine: Croatian cuisine. Restaurant Genius, Pag ~ 1,3 km from Apartments Andreja Address: Prosika, 23250, Pag. Cuisine: Pizza & Pasta, Grill. Restaurant Bistro Na Tale, Pag ~ 1,6 km from Apartments Andreja Address: Radiceva 2, Pag. Cuisine: Croatian cuisine. Restaurant U.O. Dva Ferala, Pag ~ 1,5 km from Apartments Andreja Address: Katine Bb, Pag, Pag. Cuisine: European cuisine. Restaurant Ankora, Pag ~ 1,6 km from Apartments Andreja Address: Dominikanski trg 1, Pag. Cuisine: Croatian cuisine.